Our signature homegrown hanging baskets are back for Spring 2019! The perfect way to brighten up your home & garden instantly. Adding perennials, plants that come back year after year, is a great way to have constant color and foliage in your garden. We’re always updating our inventory of perennials based on what’s blooming! Our flats of annuals come in an assortment of different colors and varieties. We’re always adding new plants to the greenhouses! Want to be the first to know when we have new plants & products and helpful gardening tips? Sign up for our Garden Friends email list. We are a family owned and operated farm with the mission to develop gardeners by growing healthy plants at a very reasonable price at our garden center. If our customers become successful gardeners, then our business naturally grows. We develop our clientele by word of mouth mostly. We feel that if we can get someone to visit us even once, they will be a customer for life! We have an amazing following of loyal customers that come back year after to year because of our great selection and healthy plants. 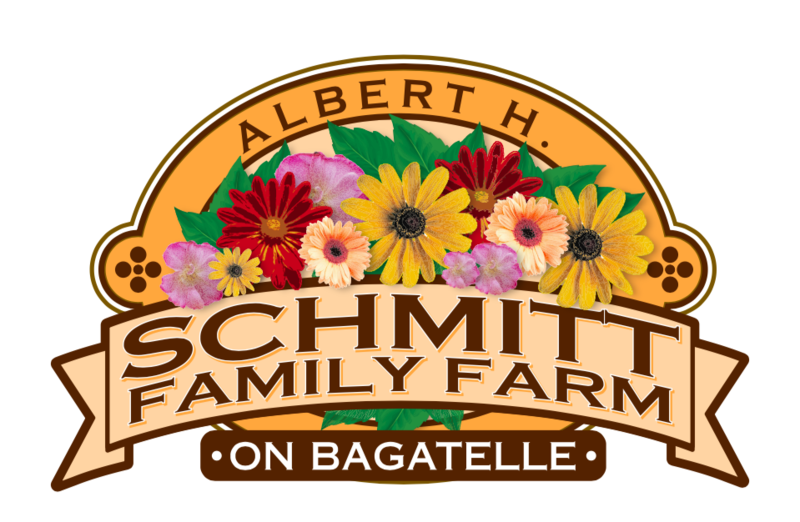 We raise many of our own plants so when you shop at Schmitt’s on Bagatelle, you’re buying direct from the grower and save. Come on in and see what’s blooming in the garden center!